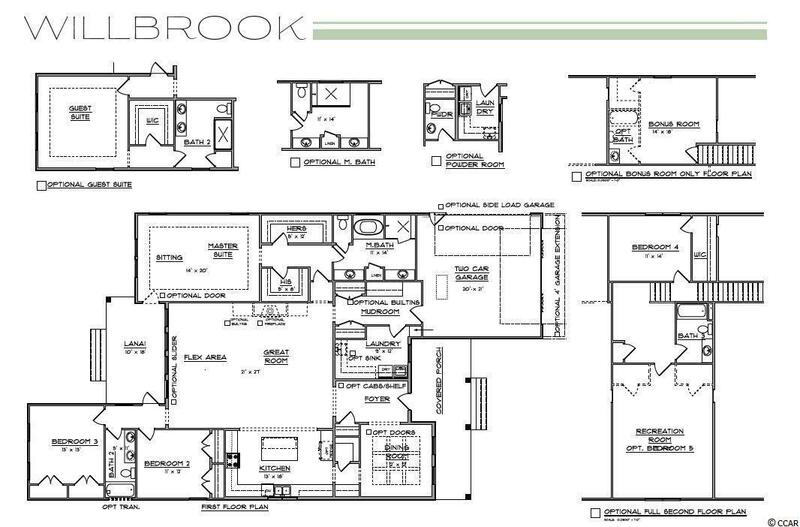 The Willbrook plan can be visited onsite as one of our 3 furnished model homes. Lots of Low Country style with Color Plus Hardie Board Exterior & Raised Slab Brick Veneer Foundation. The Willbrook lives just like a magazine cover so well thought out on every single detail. From the Exquisite 12 ft Ceiling Heights throughout 1st floor common areas to the Massive Kitchen perfect for entertaining or the 21' x 27' Great Room. This plan surpasses all expectations. Some of the standards included in this home are Large Front & Rear Covered Porches, Hardwood Flooring throughout all 1st floor common areas, Tile Walk-in Master Shower with Seat, Natural Gas Rinnai Tankless Water Heater, Gas Heat, Maple 36" - 42" Staggered Height Cabinets with Crown, Large Counter Height Kitchen Island with Granite overhang, Granite Kitchen Counters, Tray ceiling in Master Bedroom & Dining Room, Stainless Appliances, Brushed Nickel Lighting & Plumbing Package, Comfort Height Toilets, Upgraded Trim Package including 7.25" Baseboards throughout, Cased Windows & Openings, Fully Landscaped, Sodded & Irrigated yard with gutters on entire home. EFL Energy & Comfort Guarantee, TAEXX Built-in Pest Control System, Sentricon Termite System, Full One Year Builder Warranty. Tons of Customizing and options are available in this plan, including: Two 1st floor owner's suite option, Guest Powder Bath, Gourmet Kitchen, Extended Rear Lanai, Transoms at Cased Openings, Coffered Ceilings, Fireplace, Built-ins, Crown Moulding, 12 ft slider, Designer Exterior Color Options, Stone Skirt and more. We have a State-of-the-Art Design Center where you can Touch, See, Feel your Options & Colors. Living in Indigo Bay you will be enthralled by sites & sounds of Nature. 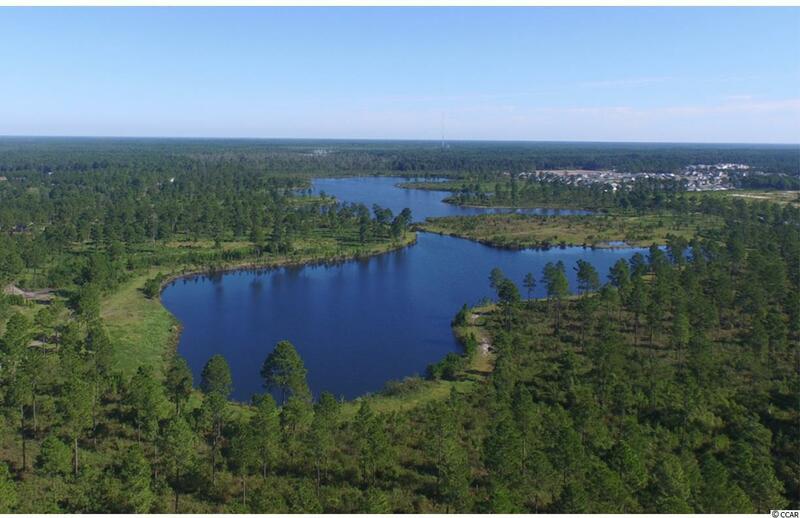 Centered around a 50-acre Lake is the backdrop to where you can enjoy kayaking, canoeing, paddle boating, fishing and so on. You will also enjoy walking through the neighborhood on our spacious 9' wide Recreation path. Amenity construction beginning soon for our 2-story Clubhouse Amenity Center with front & rear wrap around covered & screened porches, Community pool & boat dock. 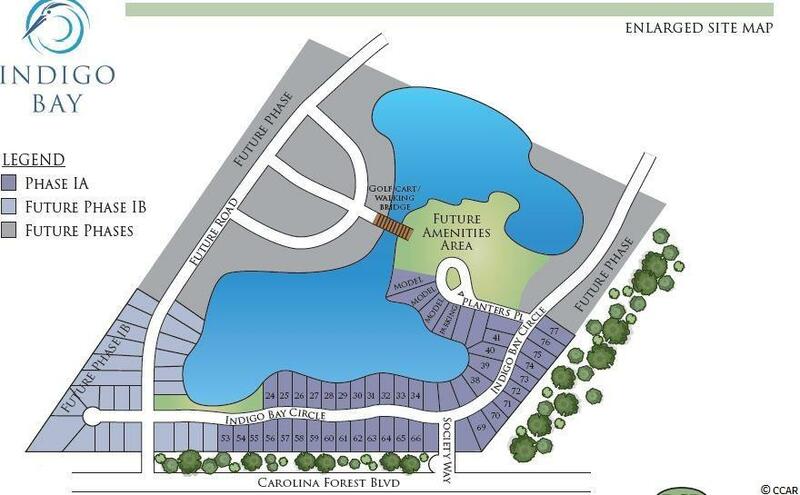 This Master Planned Community will be where you want to come home to. Great opportunity to take advantage of Introductory Prices, see agent for details. 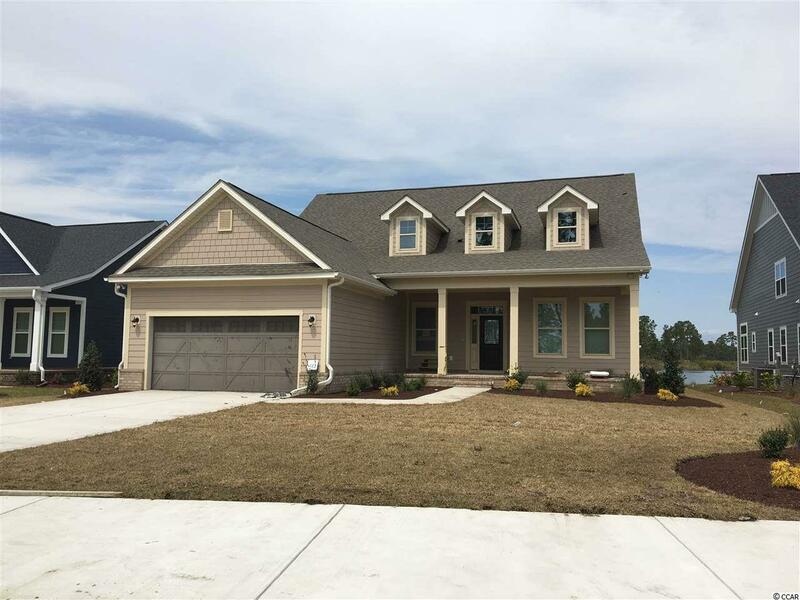 Pictures shown are of the model home in the community for representation purposes only.